Based on recent reports, as well as our own experiences here at Android Police, Google has broken its Google Admin app for G Suite administrators. 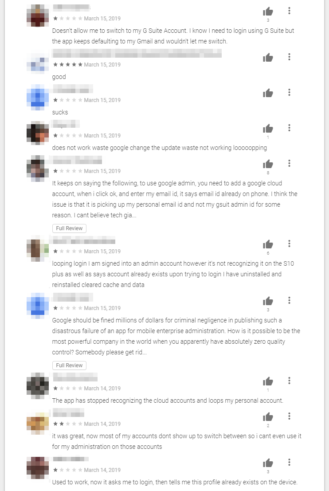 Reports of the outage in angry Play Store reviews go back around two weeks, and at the time of writing, the G Suite Status Dashboard makes no mention of this ongoing problem. Note that this issue only affects subscribers to G Suite or other Google Cloud products. This problem does not affect the vast majority of consumers. Even then, a few G Suite/Cloud subscribers have no issue at all, so YMMV. The problem causes you to be incapable of signing in on the app, preventing you from accessing the administrator management tools in it. 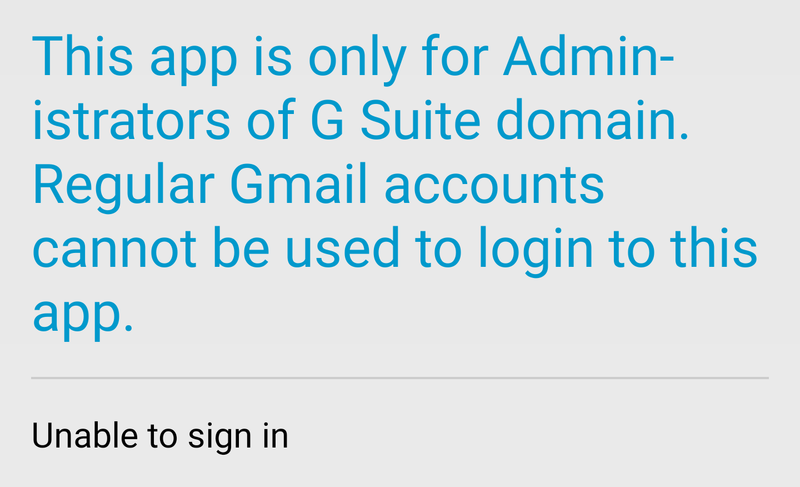 Those that are affected are given a warning (pictured above) that the app is for G Suite administrators and not normal Gmail accounts, and this is even when the G Suite-related account is selected. The admin console site seems unaffected by this problem, and the Google Admin app hasn't been updated since 2017. G Suite users and Google Cloud subscribers are pretty upset. We reached out to Google for comment and were told by a representative that the company is aware of the issue and looking into it. Hopefully, it can be resolved before another two weeks pass. 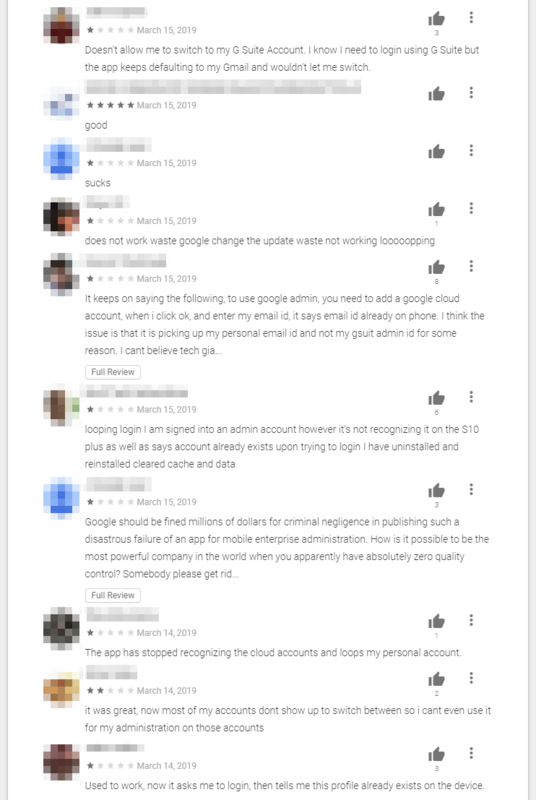 It took a few more weeks of this app being broken for Google to roll out a fix. With version 2019041100, which you can grab from the Play Store or APK Mirror, Google Admin should be working again for everyone. Our own Artem, who was affected by the bug, can confirm that it's back to functional for him.